After a busy 2018, the quickly expanding law firm Offit Kurman is forming a collaboration between its cannabis law practice and law firm Vicente Sederberg to better serve its clients entering new markets. “Because the laws of cannabis regulations are changing so fast and they are different from state to state, it’s really important for lawyers in one state to get to know high-quality service providers in other states,” Wachs said Wednesday. Vicente Sederberg has more than 55 full-time employees and roughly two dozen attorneys in its offices in Boston, Denver, Jacksonville, and Los Angeles. The firm also collaborates with firms in Detroit and Las Vegas, according to a news release. 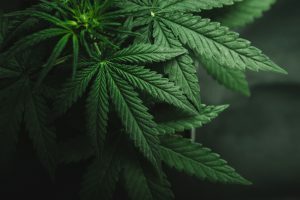 The firm provides a range of services for those engaged in the marijuana and hemp businesses, including cultivators, retailers, extractors, product manufacturers, distributors, and testing labs, as well as ancillary businesses, such as investors, trade associations and government bodies. “Vicente Sederberg has been a pioneer and national leader in the field of representing cannabis law clients, and we are honored to collaborate with their top-tier lawyers,” Wachs said. He first met one of the Vicente Sederberg partners over a year ago at an industry conference in Las Vegas. Offit Kurman often gets questions from people seeking opportunities in states where they don’t have a presence. As part of the collaboration, the firm will refer work to Vicente Sederberg. Offit Kurman will then stay involved in the case to the extent that it benefits the client and the firm is allowed to do so, Wachs said. The two firms have some overlap in New Jersey but most of their respective footprints cover different parts of the country, Wachs said. 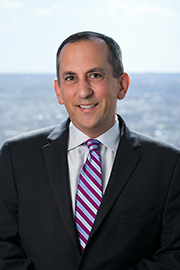 Offit Kurman, which has offices in Maryland, District of Columbia, Virginia, New York, New Jersey, Delaware and Pennsylvania, launched its cannabis law practice in 2016 in an effort to gain footing in the medical marijuana business by being a go-to resource for entrepreneurs and businesses in the industry. The practice has eight lawyers, Wachs said. “There are always new things, new people coming to the industry and they’re usually coming from different backgrounds,” Wachs said, including people coming from health care, finance and real estate who are trying to understand the “rapidly evolving marketplace,” he added.